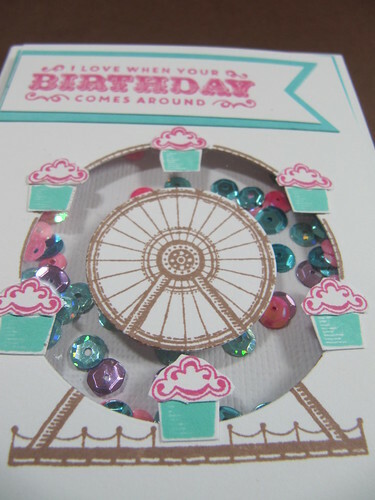 I know I have mentioned how much I love shaker cards. It is something about all those sparkles that move around that I adore. 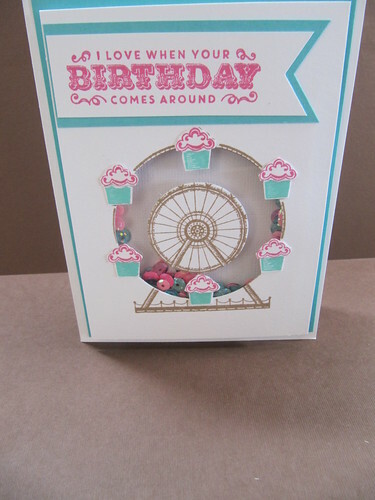 Today the card I am sharing features Stampin' Up set Carousel Birthday. I have seen were several people have cut the center to make a shaker with this set. I stamped and cut the cupcakes a few times to get the color layers I wanted. I used a mix of sequins from my stash.